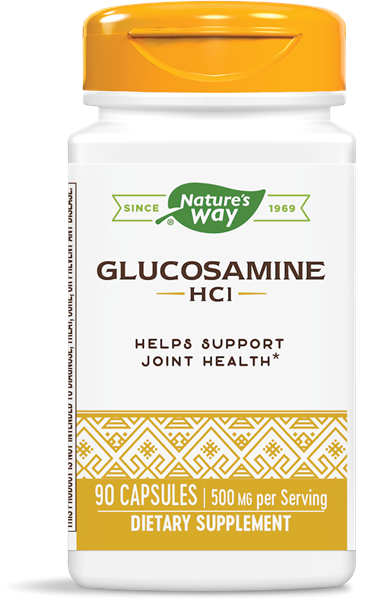 Glucosamine HCl / 90 Caps - Nature's Way®. What is the source of the glucosamine in Glucosamine? The glucosamine sulfate in Glucosamine is extracted from chitin, a hard, cellulose-like compound that is the main component in external shells of crustaceans such as shrimp. Contains shellfish (shrimp, crab, cray fish, lobster).